One of my dear, sweet friends had a baby a couple of months ago, Stella Claire. I wanted to make my friend something special but not too "I JUST HAD A BABY! ", you know? 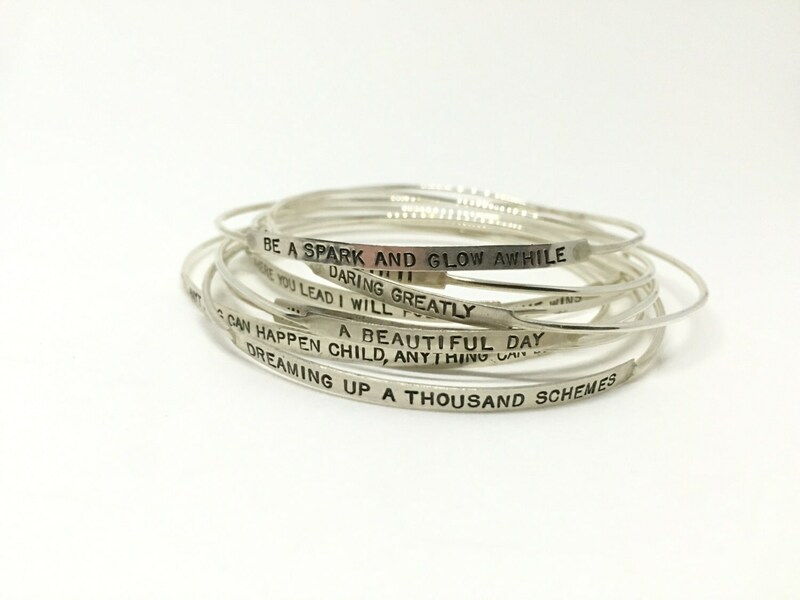 So these simple, sweet bangles seemed like just the thing. 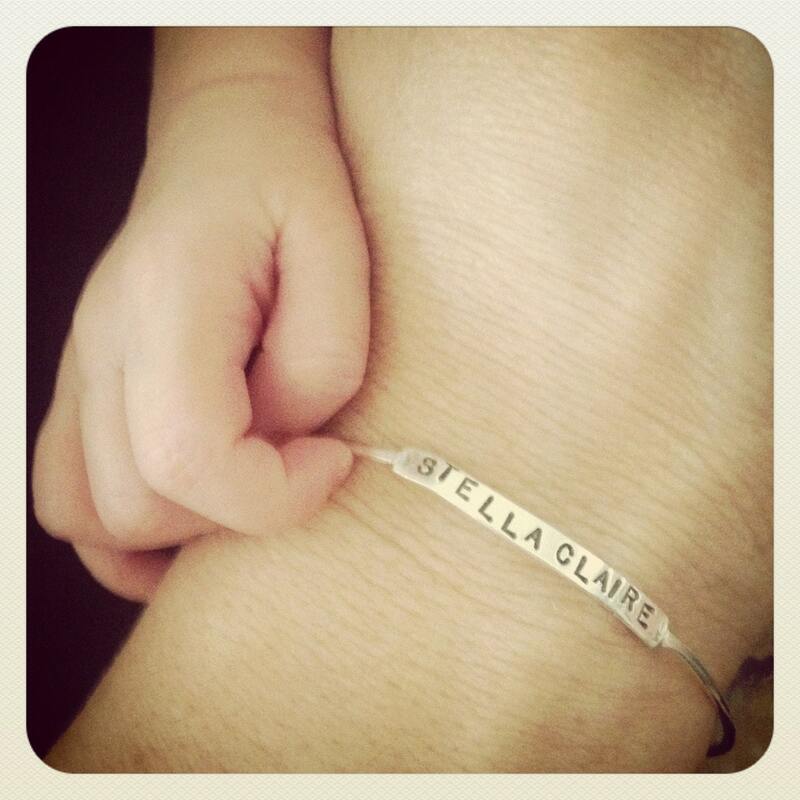 Once I made it I knew that this bracelet was kind of made to hold a baby name. It's a pretty perfect gift for a new mom when everyone else is giving her stuff for the baby. 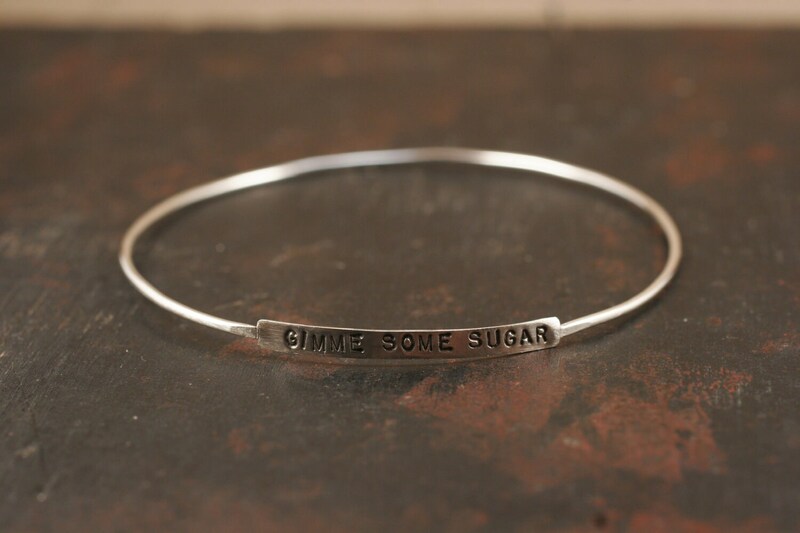 Originally I was thinking of my great-grandmother when I made the first of these bangles, "Gimme Some Sugar" was what my she used to say to me when I walked through her door. Then I made one that said "Stink Pot" because that is what she called me. 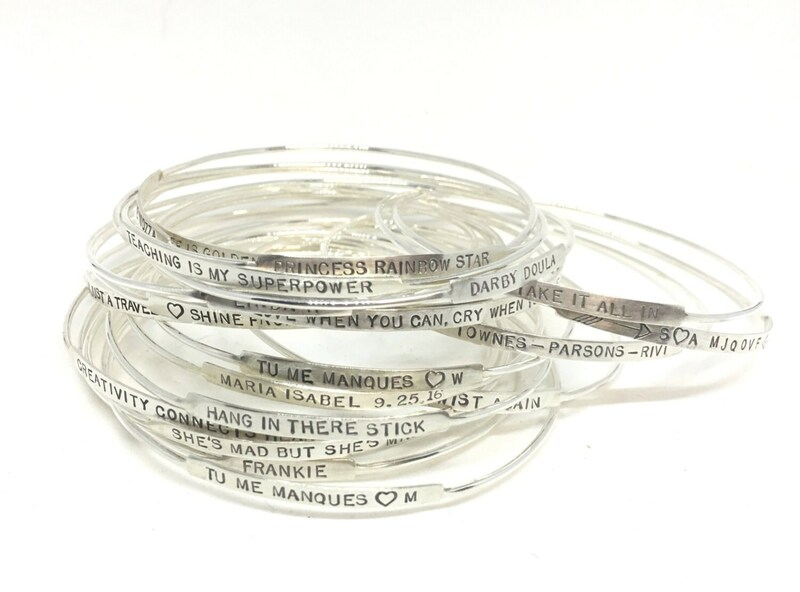 So go wild, use your imagination, choose anything you'd like on your own bangle...baby names, your name, your dog's name, dates, song lyrics, anything...I can fit about 30 or so characters. 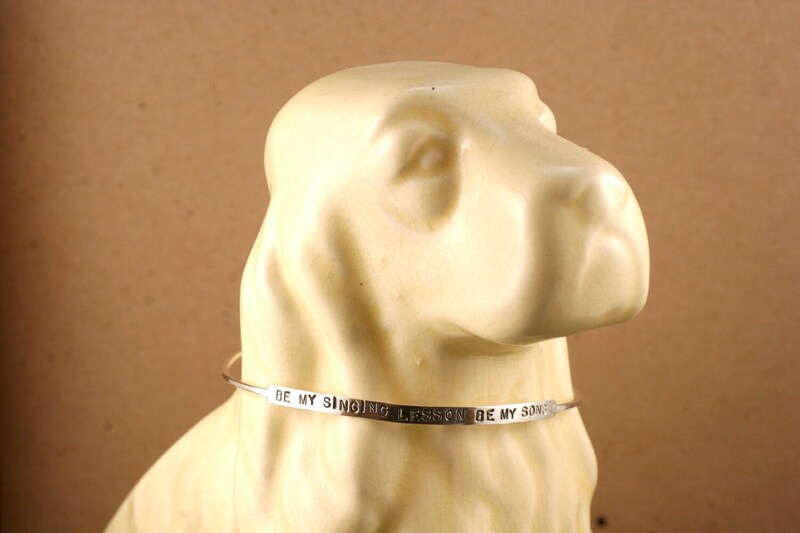 This listing is for ONE sterling silver handmade bangle bracelet. If you would like more than one just let me know and I can increase the number in the listing.